PSV Eindhoven – Where has it Gone Wrong for Phillip Cocu? To say PSV Eindhoven is not off to a great start of the season could be the understatement of the year. Quite a poor pre-season, in which scoring goals seemed the biggest bottleneck of Phillip Cocu’s side, was topped off with an embarrassing two-legged Europa League tie versus the number four of last season in Croatia, NK Osijek. Coincidentally, PSV didn’t manage to find the net once in these two matches as NK Osijek eliminated the Dutch giants 2-0 on aggregate (0-1, 1-0). Below are two graphics of the Expected Goals-model created by @11tegen11. This model takes into account all shots that a team has taken and added a certain value (from 0 to 1) to every single shot, based on the likelihood of it finding the back of the net. This could be due to the location of the shot, to the angle to the goal, to the various types of plays (set-pieces, open play) and many more factors. It is safe to say the score line was a bit harsh on PSV in these two matches as they were expected to have scored 4.56 goals, yet managed zero. Meanwhile, Cocu has been struggling to find his ideal front three so far, moving the talented Steven Bergwijn from left to right, not knowing whether to start with Luuk de Jong or Jürgen Locadia up top and incorporating the new addition of Mexican superstar Hirving Lozano. 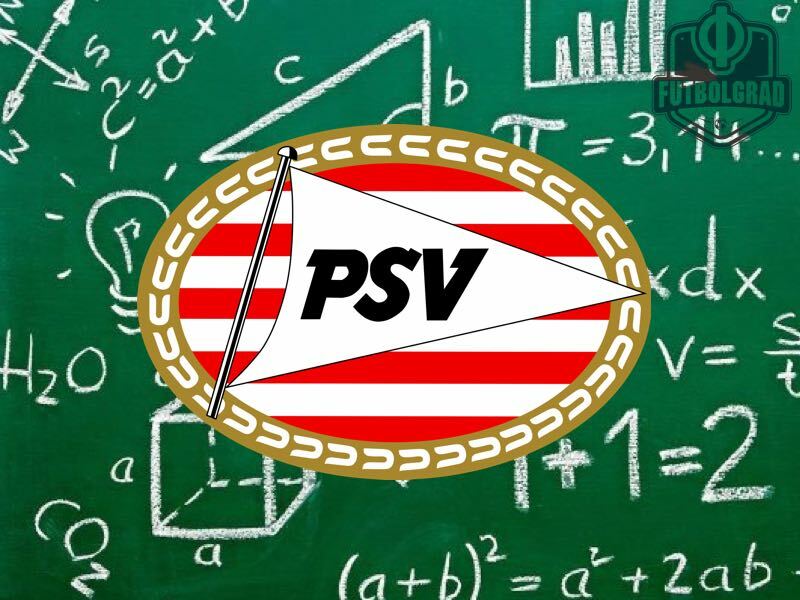 However, creating the chances does not seem to be PSV’s biggest problem at the moment; the defensive side of the team causes a significant amount of concern. NK Osijek—with all due respect—is not exactly a highly-rated European side. They still managed to create a fair amount of decent chances against a struggling PSV, however. With the departure of defensive leader Hector Moreno, PSV-fans were already wondering who would step up or come in because the Schwaab – Isimat duo hadn’t necessarily impressed last season. So far, the only defensive acquisition of PSV has been Derrick Luckassen, brought in from AZ Alkmaar—a decent and versatile signing but not one that can directly match an 84-capped Mexican international who left for AS Roma. Moreover, Andrés Guardado moved on to Real Betis, and while he is not a defender, his coaching provided for a lot of the stability of last season, in which they only conceded 23 Eredivisie goals. In the away-tie at Osijek, PSV lost possession in their third directly leading to a shot from the opponent a staggering seven times. Not converting your chances is one thing but giving the opposition so many chances—and therefore the belief—from losing the ball in your third represents a much bigger issue. With fans already demanding the axe for Phillip Cocu, time is not on the side of the Dutch giants. Last Saturday marked the start of their Eredivisie campaign, a 3-2 win over AZ Alkmaar. Cocu tried another offensive set-up, starting with the Uruguayan Gastón Pereiro in the number 10 role, which allowed him to use his beautiful technique in more central spaces. 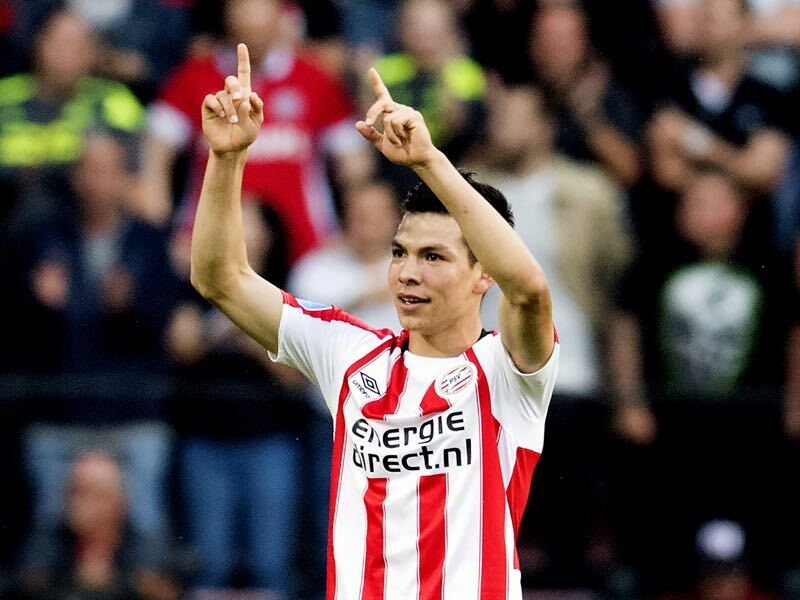 Moreover, Hirving Lozano showed glimpses of the damage he can do to numerous Eredivisie defences this season and interchanged quite nicely with Steven Bergwijn on the wings. But, once again, the offensive abilities of this side mostly masked the defensive instability. The game itself accounted for forty shots, 25 for PSV and 15 for AZ. With the absence of a real left-back, Joshua Brenet, who was originally a right-back, has been this season’s starter. He has been no stranger to this position, however, in the game vs AZ his defensive positioning was questionable, to say the least, and he was substituted after a mere 25 minutes, replaced with the next not-really-a-left-back, in the form of attacking midfielder Kenneth Paal. An early alternative that was very un-Cocu-like, but the pressure is building. The problem seems to have been addressed by the PSV staff, as talks have opened to sign Brazilian Douglas Santos from HSV, who will have some shoes to fill. 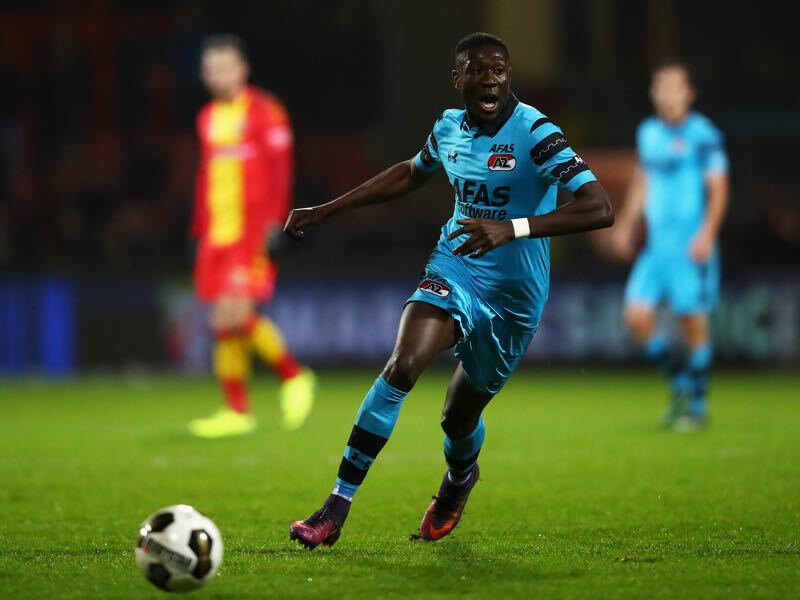 Furthermore, Isimat-Mirin might be off to Premier League-side Burnley for a supposed transfer fee of €10 million. As a PSV-fan, I would personally drive him to England, if it was for that kind of money. One can only hope the defensive acquisitions, assuming they will replace Isimat-Mirin, can help building towards a more solid back-line because the defence seems lost without their Mexican capitanes, especially in possession.